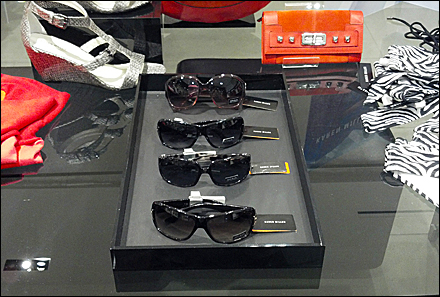 Tray presentation and sunglass merchandising threads overlap here at Karen Millen. 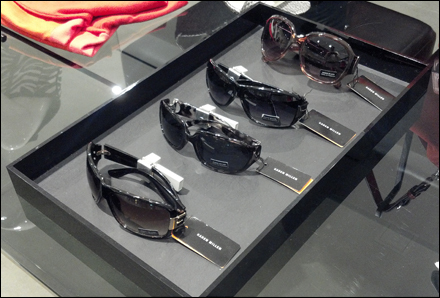 These Sunglasses in Black Lacquer Tray delineate and focus attention on the table-top sunglasses sold as accessories amid the storeful of apparel. CLICK the thumbnail for an alternate Sunglasses in Black Lacquer Tray angle.